Customers can avail from us a wide gamut Hex Bolts. The offered product is made under the supervision of deft experts, who have years of experience in the domain. The offered product is made with the aid of latest and advanced technology and machinery. Apart from this, the product is widely acclaimed for its various attributes. 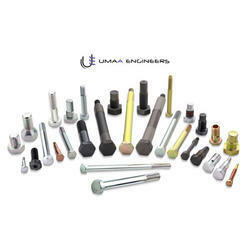 We have established ourselves as a reliable manufacturer of Round Head Bolts. We manufacture customized components with world-class quality. Our manufacturing plant has a complete range of in-house production facility that enables us to take care of any kind of specifications and deliver products with zero defects. 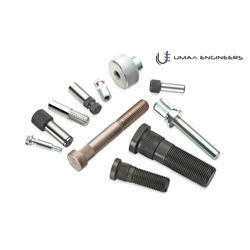 We have established ourselves as a reliable manufacturer of Knurled Fasteners. We manufacture customized components with world-class quality. Our manufacturing plant has a complete range of in-house production facility that enables us to take care of any kind of specifications and deliver products with zero defects. We have established ourselves as a reliable manufacturer of Socket Head, Bolts and Screws. 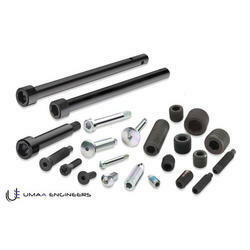 We manufacture customized Socket Head Bolts with world-class quality. Our manufacturing plant has a complete range of in-house production facility that enables us to take care of any kind of specifications and deliver products with zero defects. We bring forth an impeccable spectrum of Flange Bolts. We manufacture offered product with the utilization of sophisticated material that are as per the laid industrial parameters. Apart from this, the offered product is checked as well as verified at several well defined levels before the product is finally dispatched. 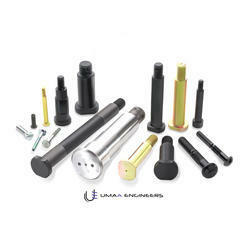 We have established ourselves as a reliable manufacturer of Induction Hardened Fasteners. We manufacture customized components with world-class quality. Our manufacturing plant has a complete range of in-house production facility that enables us to take care of any kind of specifications and deliver products with zero defects. Our expert team allows us to manufacture and export a wide range of Special Fastener. These products are widely accepted due to its cost-worthy price range. 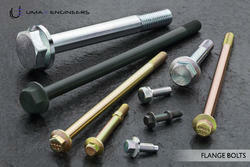 We use finest quality raw materials in manufacturing these Fasteners. The considerable feature of these fasteners is it is dimensional accurateness; rust free, wear and tear strength. Our products have extensive usage in switchgear industries for the fitting of spares. 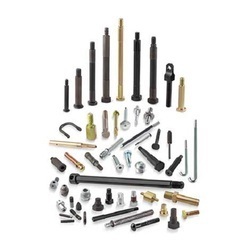 We are Manufacturers and Exporters of non standard high tensile fasteners such as Socket Head, Knurled Fasteners, Hex Bolts, Flange Bolts etc. 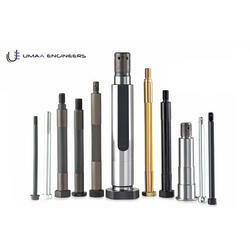 Umaa Engineers come with a highly decisive and optimistic approach towards a consistent growth rate has assisted us in expand our area of expertise and picking on a large client base. 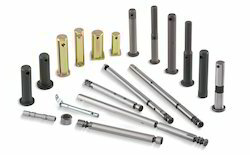 Additionally, we have attained an expertise in the manufacture of highly sophisticated auto parts, parts for railway systems, tractor engine parts such as high tensile fasteners, special fasteners, industrial fasteners, cold forged fasteners, hot forged fasteners, hex head bolts, round head bolts, cylinder head bolts and cylinder head studs. Functioning as reputed manufacturers from India, our products strictly conform to global quality standards. These are well known for their durable performance, operational safety & ease of maintenance. Further, our expertise to deliver these in exact specifications as demanded by the customers, as well as the capability to deliver these at competitive prices, has also helped us to emerge as a leading name in our area of operations.